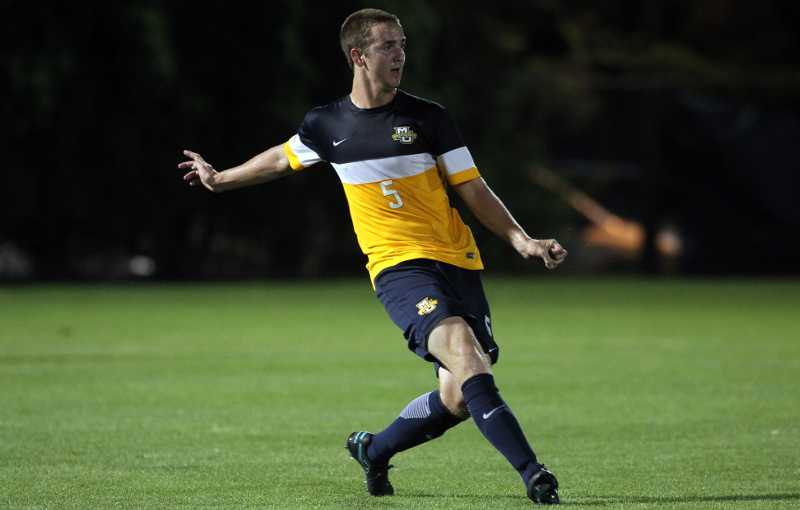 Danny Jarosz played only 13 games at Marquette before retiring from soccer. Danny Jarosz always knew the concussions would catch up to him. By his redshirt sophomore year he was already diagnosed with five, including one that kept him out of the entire 2015 men’s soccer season. It could have been sudden. His position, center back, made him highly susceptible to collisions. One more big hit or funny fall, and his career could have ended on the spot. But it wasn’t like that. The concussions crept up on Jarosz, with lingering side effects from his previous ailments dragging his playing time to a halt. He didn’t tell anyone because he knew what it probably meant. But staying silent didn’t make the headaches go away. Eventually it started to affect both his schoolwork and his play on the field. With four games left on the schedule, he accepted reality. He went to the team’s medical staff, hoping to fill them in and finish out the season. The team doctor had different plans, telling Jarosz he was done on the spot. The doctor’s decision brought an end to a promising but short-lived career. Jarosz was the Milwaukee Journal Sentinel’s Area Player of the Year as a senior in high school. He was expected to be a valuable piece before he was injured in his redshirt sophomore season, and he lived up to the billing as a redshirt junior. Jarosz and the coaching staff decided to keep quiet about what was going on so the team wouldn’t be distracted. It turned out not saying anything was an even bigger distraction, as Jarosz’s teammates wondered why one of the team’s top defenders wasn’t on the practice field. Danny Jarosz discusses his career at the Al McGuire Center. Jarosz finally spilled the beans prior to Marquette’s match against Xavier. There is a silver lining for Jarosz, though: Bennett wants to keep him in the program, and the young defender had expressed interest in coaching. 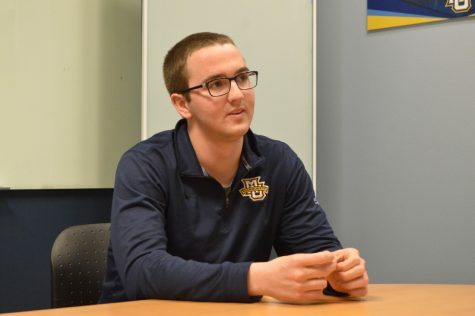 The two sketched out a plan, and at the beginning of the spring semester Bennett offered Jarosz a student coach position. It’s given him an early start to build experience. Jarosz is helping manage the video from the team’s practices and is working as an unofficial liaison between the coaching staff and the roster. Having sat in on the coaches’ meetings and been a player this year, he sees both sides. “I know a lot of the younger guys especially will go and talk to him,” Szczepanek said. Jarosz plans on staying in the role until he graduates at the end of next year, and he’s already made an impact. His persona as a player has helped him make an easy transition. Jarosz was a team leader and as a center back he had to see the whole field. That doesn’t mean he still doesn’t yearn to get on the pitch again, especially when he wasn’t able to exercise over the past few months because of the concussion protocol. Remaining ingrained in soccer is a double-edged sword. He fuels his love of the sport, but is constantly reminded of what he no longer can do. Even the 6 a.m. workouts are seen through rose-colored glasses. Compelling, bittersweet article. Congrats Danny on your soccer career. Close the door, open a window.